Have you ever wondered how much lumber one log has in it? Lumber of course starts out inside of a tree, and it is the job of a Sawyer to figure out how to mill each log to get the best and most lumber out of it. 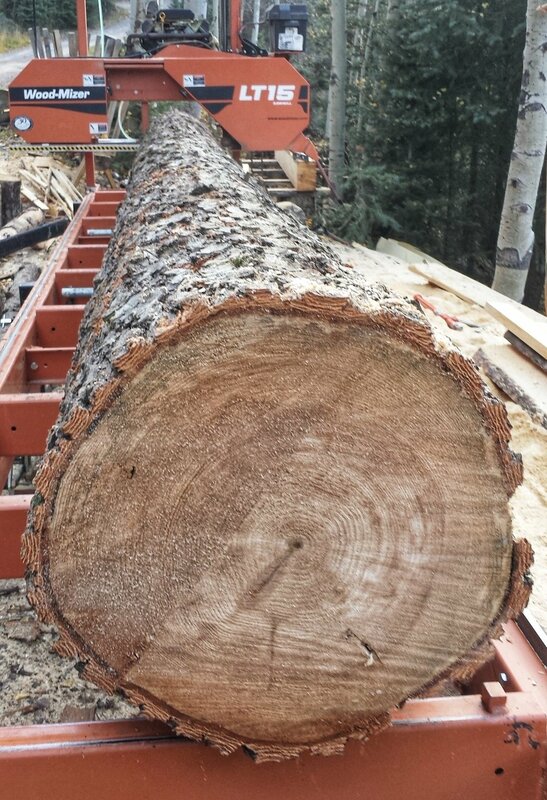 Below is a 17 foot white fir that died from beetlekill in the Colorado San Juan Mountains and a picture of the lumber that came out of it. (1) 2x12x10′, (1)2x10x8′, (1)1x8x10′, (1)1X12x10′, (2)2x6x8′, (7)2x6x17′, (1)2x4x17′, (2)1x6x10, plus a stack of lumber from all the left over scraps. 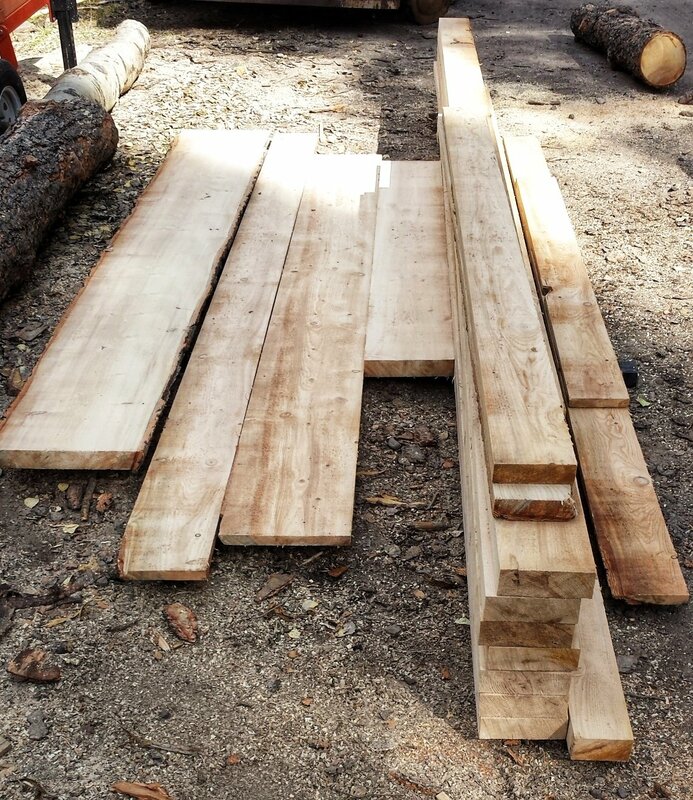 There are many different ways to mill this log, this time I milled this combination of lumber for a local custom order.